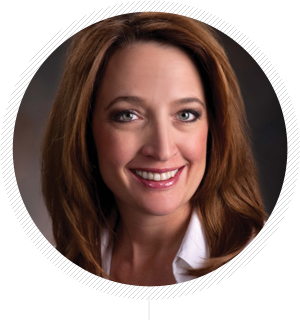 Tawnya Starr has worked in sales and customer service roles her entire career. In 1994, she got the entrepreneurial bug and started her own printshop in New Mexico. She was very successful, growing the store's account base to more than 500 clients in three years. She personally managed her store's largest accounts while overseeing a sales and production staff that grew her business into one of the market's largest in less than two years. In 1999, Tawnya purchased a website from Firespring and was amazed at the impact it had on her printing operation. In April 2000, she agreed to join Firespring as president of PrinterPresence, the company's flagship solution. Tawnya's experience in the industry furthered the development of PrinterPresence into the most popular website solution in the printing industry. Today, PrinterPresence provides websites, marketing and web-to-print solutions to over 3,000 printing and graphics companies on five continents. Tawnya has dedicated her career to educating the printing industry on web marketing and how companies of any size can save time and money while attracting and retaining customers. She has appeared at numerous conventions and trade shows and has been quoted in nearly every printing industry trade publication regarding the internet. In 2005, she received the prestigious Industry Award of Distinction from PrintImage International in recognition of her contributions to the advancement of the quick and small commercial printing industry. Tawnya was also honored with the OutputLinks Women of Distinction Award in 2010 and serves as a featured columnist for Quick Printing magazine.